Are there any top US MBA that do not require to pass the GMAT or GRE? Looking at to do MBA without GMAT? Believe me, you are not alone. Be it psychological blockade, lack of enthusiasm, or busy life schedule, several candidates look for MBA without GMAT (or GRE) requirement. Though there are many executive MBA (EMBA) and online MBA programs that do not ask for GMAT (or GRE). There are not too many world-class full-time international MBA programs that give you a GMAT waiver. It is not at all a wise decision to pursue MBA from a mediocre university in abroad just because you do not have a GMAT score. In this post we will look at the top full-time MBA without GMAT requirement, and also few factors that can help you to get GMAT waiver. There are several factors you need to consider before applying for MBA in abroad . I personally put more emphasis on course content and value for money (return on investment), rather than just only media rankings. As you can see from the above table, all of these 15 full-time MBA programs perform well in almost all of the vital parameters. More importantly, they are all top quality programs with good return on investment (ROI). We have ranked (MU Rank) the MBA programs (universities) after taking care of all parameters. We have put more weightage on FT Rank 2016, FT Rank 2015, Post-MBA salary and Value for Money. These programs do ask for mandatory GMAT (or GRE) scores, and are among the best in the world in terms of value for money. You can get good return on your investment without appearing for GMAT if you broaden your horizon. Of course more US Schools appear in the Top 100 list by FT or Economist. But, European MBA without GMAT requirement can give you a unique experience ; whereas an Australian MBA without GMAT requirement can help you to earn higher salaries . Last but not the least, an international MBA program does come with several benefits. Read here top 6 benefits of doing MBA from abroad . Unless and until you do your MBA from few selected Indian institutes (IIMs or ISB), career progression could be a little difficult. As per The Wall Street Journal, Less than 10% of Indian MBA graduates are Employable . So, it’s definitely worth doing an MBA from abroad. However, please be advised that even if you get admission for the MBA program, the chances for scholarship might be affected if you do not appear for GMAT (or GRE). But again, scholarships also depend on individual cases. If you present a brilliant application, and prove a genuine financial need, you can get substantial scholarship. But, don’t get your hopes too high for full scholarship. I believe you are now convinced that you can get good return on your investment even if you do an MBA without GMAT requirement. 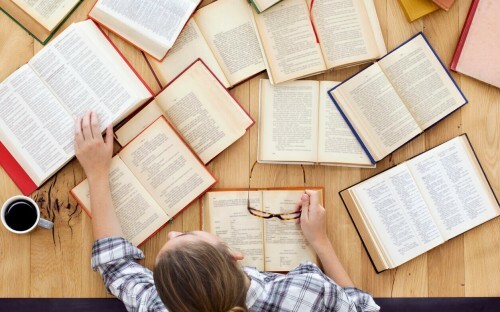 But, you might be wondering if it is really a good idea to skip GMAT. You might feel skeptical about the quality and credibility of the B-School that offers MBA without GMAT requirement. In that case, the rest of the post will be useful for you. GMAT score is one of the most critical requirements for MBA programs all around the world. GMAT is even more vital if you are looking for highly-ranked campus-based full-time MBA programs. GMAT score indeed carries the maximum weight in your MBA application. But, the GMAT score is not everything while applying to B-Schools. Roughly, yourGMAT score carries 22% of the total weight during the MBA application (refer to the table below). Other parameters like career history (work experience), essays, CV, recommendations, Bachelor marks (Undergraduate GPA), interview performance also matter; and they constitute almost 78% of the total weight. So, at the end of the day, it is definitely possible to get MBA admission without GRE score. No GMAT??? Don’t Worry…… It’s not the end of the world! It is true that almost all of the top-ranked B-Schools ask for a GMAT score as one of the mandatory entry requirements. 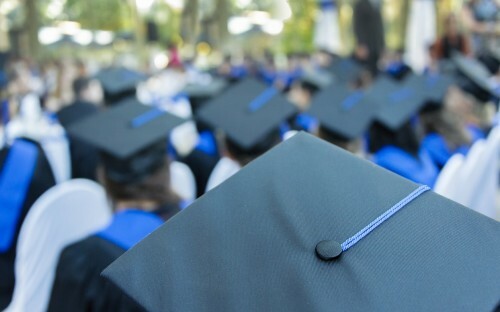 But, there are top-ranked full-time MBA programs (few are mentioned above, and few are mentioned below) that do accept candidates without GMAT scores. What is The Rationale Behind Getting Accepted for MBA without GMAT? GMAT score gives an idea to the B-School admission committee (Adcom) about your sincerity and intellectual capability for pursuing a rigorous MBA program. While evaluating a candidate the Adcom considers the overall profile of a candidate, and not only the GMAT score. International B-Schools look for prospective leaders and managers. So, if you can display your ability and potential through other application components, you do have chances to make it to a good B-School. The above table shows the weightage of all the parameters during the MBA application. This data has been taken from a survey carried out by Poets & Quants. The objective of the survey was to assess the weightage of all the important parameters during an MBA application process. It is like any paper during an examination. There will be few modules (or questions) that are your weak points. You might not even attempt to try that particular question. But, if you answer other sections (or questions) well, you can still pass with flying colors. Of course it is not possible (or at least way too tough) to get into Top 20 MBA programs without GMAT score. But, if your priority is do a good MBA and get high return on your investment, then you do not necessarily need to attend a Top 20 MBA program. Why few Top MBA programs accept applicants without GMAT score? Quite a few people argue that a GMAT score is not always the right indicator of someone’s skills and potential. After all, GMAT is a standardized test. GMAT score cannot always measure someone’s real talent, determination and true potential. If you do not perform well in your Board exam or in any of your semester – that does not mean that you cannot do well in your future career. Similarly, a candidate who hasn’t given GMAT cannot manage a team or run a business. It is also possible that a candidate is too busy with his/her current job and can’t afford to take out time for GMAT preparation. 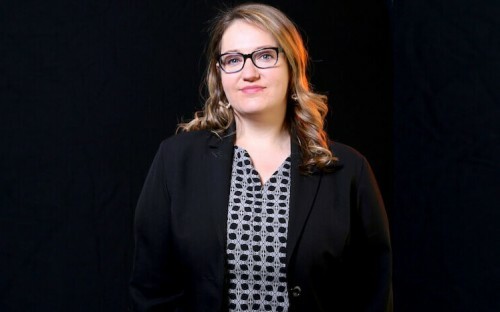 Appearing for the GMAT and coming with a decent score can be a tough task for someone working in a senior management position, or working in a startup. There is no point just to give the GMAT for the sake of appearing (and score something like 500). As you can see in the above graph (source: GMAC), it takes serious time and effort to score 700+ in GMAT. As per US News, the top 10 MBA programs require an average GMAT score of 721. Hence, if you have got the burning desire to move ahead in your corporate journey and take a big leap in your career, do not let the absence of GMAT score to be a significant obstacle. At the same time, do not take admission at any ordinary B-School with no credibility at all. There are ways to get GMAT waiver at top schools, and more importantly there are universities that offer MBA without GMAT requirement. Last but not the least, there are costs involved as well. An MBA program is expensive, and there will be costs involved during the application as well. So, some candidates do face financial constraints while tackling with GMAT. The GMAT exam itself costs around $250, and the preparatory materials (and coaching) will also add some significant costs. B-Schools do understand these scenarios, and that is why few top schools do offer MBA without GMAT requirements. Few other practical issues are – the time off from academics after finishing graduation, and before deciding to do an MBA. Then there will be few candidates who are not too strong in Mathematics. Again these candidates can be potential business leaders. That is why more B-Schools are relaxing the criteria for GMAT waiver and more schools are offering MBA without GMAT score. Still paranoid if it’s worth doing an MBA without GMAT requirement? Is it worth attending a B-School in abroad where you can get admission for MBA without GMAT requirement? First of all, you need to ask yourself why you want to do MBA. Is an MBA worth doing? If your answer is yes. Then you should not worry about doing an MBA without GMAT requirement. I assume you must be looking for career progression, broaden your knowledge, improve your management skills, sharpen your business acumen, build more diverse and broader network, and develop entrepreneurial skills. You should remember that MBA is not any other academic degree. It is more about practical and real-world issues, rather than just theories. So, you should look beyond the rankings, especially if you are looking at to get admission for MBA without GMAT score. Rankings do provide a good reflection of the quality of education, credibility of the faculty, placement record, post-MBA salary etc. But, they are after all media rankings. Rankings change every year, and they also vary across different ranking system. Financial Times (FT) and The Economist – two major full-time MBA ranking tables – directly compare the B-Schools across the world. Forbes and Bloomberg Businessweek provide separate lists for 1-year and 2-year MBA programs for US and rest of the world. US News & World Report and QS (TopMBA) focus only on the regional rankings. Each and every ranking table has got their own ranking methodology. So, it is very difficult to decide the best business school of the world. But, it is definitely possible to decide the best business school for you. Hence, the real value of MBA does not depend on media rankings, but on your career and personal goals. Secondly, MBA is expensive. 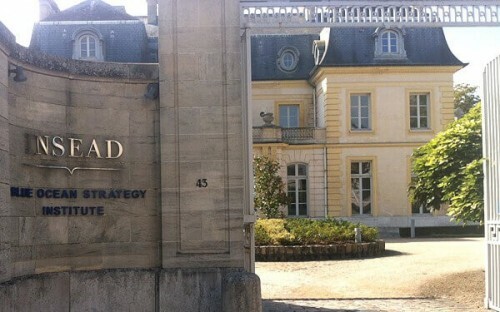 While it might look very tempting to do an MBA from a top ranked US or European B-School. But, it can also cost you a fortune (close to 1 Crore Rupees). If you are not selecting the right school, you might struggle to pay the debt of MBA education from abroad. Hence, it is very important to go attend a good MBA program with value for money. 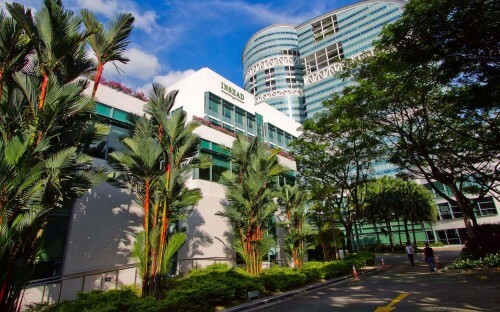 Below we have listed the Top 15 Full-Time MBA programs without GMAT requirements. in FT Global MBA ranking (2016), can waive off the GMAT requirement if you have cleared CFA III. If you a Masters Degree holder in a Quantitative subject (Engineering or Science), you can get admitted at Rady (University of California at San Diego) for full-time MBA without GMAT score. NC State University and few other schools can waive off the GMAT requirement for MBA admission if you hold MD, PhD, Pharm.D. Few schools can also ask 5 years of mandatory work experience (Waikato) or very high GPA combined with work experience (Suffolk University ask for at least a 3.4 CGPA and 4 or more years of full-time work experience). There are some lesser known universities in the USA as well that do not ask for GMAT score for MBA admission. The entry criteria are also less stringent at the following schools. So, if you are looking for MBA without GMAT in USA, and if you don’t have extensive work experience, you can consider the following universities. So, if you are really inspired to pursue MBA from abroad, but haven’t got the bandwidth to prepare and appear for GMAT – don’t loose hope. There are a good number of top-notch and decent universities that admit candidates for MBA without GMAT requirement. If you wish to get your profile evaluated for FREE in order to get considered for GMAT waiver, get in touch with us today. You can also avail our Premium Services for MBA Admission in order to increase your chances of getting admitted at your dream school. You can reach us at [email protected] or or simply call us on 011 4107 8540. If you are looking for MBA without GMAT, possess at least 3 years of work experience, and you liked this post – you can get 25% flat discount on our Premium Services for MBA. You just need to quote MUMBA25 while putting your order by email. Or follow MeetUniversity on Twitter and send us a tweet @meetuniversitymentioning #MUMBA25. Hurry up…. Offer valid till September 30, 2016. Join over 10 million Grammarly users and see what better, clearer writing can do for you. Its free! Where can I get an MBA with no GMAT or GRE required? Should I do the GRE or GMAT for an MBA (my maths is not very good)? Is the GMAT harder than the GRE? Is it possible to study an MBA degree through the GRE? Which exam is helpful, the GMAT or the GRE for doing an MBA in France? Does it require a GRE/GMAT/CAT/XAT for an Executive MBA in HR? How are the prospects post that? No reputable US program admits students without a GMAT or GRE score. Apparently there are exceptions, as Murugeshbabu Mahadevan mentions, but you are probably not the VP of a bank (although its unclear why the VP of a bank wouldnt take the GMAT – when it comes to competitive academic admissions, every anecdote deserves its grain of salt). If you dont want to take part in an overpriced cash machine, why are you considering business school at all? There are strong arguments that you can learn in the real world what the MBA teaches you – so if you are suspicious of high-priced tokens of value neither the GMAT nor the MBA may be good for you. Finally, the GMAT is built precisely to gauge your English abilities in an English-language program. If your command of English is so poor that you cannot be admitted, the GMAT can be an indicator of that and will help the school decide whether or not you are a good fit for the program. No reputable US program admits student without GMAT or GRE. Reputable means top 20 accredited MBA program. I assume this is what you are aiming for since you tagged the top 3 business schools in your question. I know some really TOP business schools which did not ask for a GMAT score. I know a candidate whose profile was unique and got selected to Chicago Booth School of Business without GMAT. In his case he was a VP of a large bank. The University gave him an admit without GMAT. B School admits give a very high value to the profile of the candidate rather than his just arithmetic/logic/language skills. GMAT is just a eliminator. But there is more happening in the admission process than just looking at a scorecard. BTW, the 250 USD test is valued by all best B Schools across the world and is valid for 5 years. Try to look at this as an investment. If you target top schools, Try not to find a shortcut. The world needs genuine leaders. Try to find the leader in you than finding shortcuts. How do you select a 100 people from a pool of 6000 applications. Whats better a common exam or a you want to review all 6000 applications line by line. Which do you think is easier/smart?. GMAT is an elimination criteria. Not a selection criteria. Selection criteria is the story you tell in your essays and your achievements in your past work. There are exceptions, and an exception is never the rule. Buy Bitcoin Cash from the source. The BTC wallet makes it simple and secure to buy Bitcoin & Bitcoin Cash. Get your wallet today! Most top business schools require the GMAT; however, you are able to send the mba gmat waiver . In some cases, you can get the GMAT waived based on your professional history and unique abilities. On the other hand, more students are having issues performing above the required score. So, in order to attract more students, top business schools offer the possibility of waiving the GMAT. 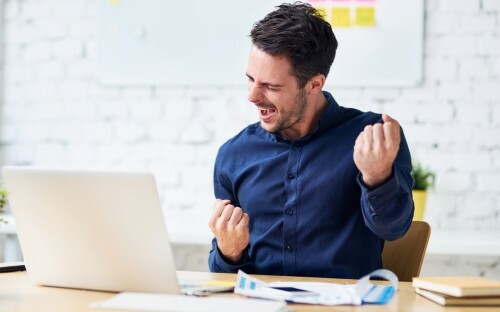 You can find different online MBA programs that do not have GMAT or GRE requirements, such as Stern School of Business or Colorado State University. To get into an MBA program one has to qualify GMAT. The GMAT score plays a significant role in this aspect. The GMAT score decides the ranking of the students to study in the top ranked b school in the USA. But, there are certain programs in the USA, which doesn’t require the GMAT score card. MBA Colleges in USA for Indian Students without GMAT are categorised into three divisions. Apparently, there are and some American business schools have started to request an executive assessment exam instead of the GMAT. What are the ways to study MBA in abroad apart from GMAT & GRE? Which countries do not required GRE, GMAT or IELTS for MBA? Is job Experience is necessary for GMAT or GRE or MBA? What is more preferable for an MBA, the GMAT or GRE? In the USA, do most of the MBA colleges accept the GRE or GMAT? Can I get accepted into an MBA program without GMAT/GRE score? Is the IELTS enough for studying an MBA abroad? Or, do I need to prepare for the GRE/GMAT too? Which universities do not require the GRE/GMAT? Which executive MBA programs dont require the GMAT/GRE? Which exam, GMAT or GRE, should one appear for joining an MBA program? 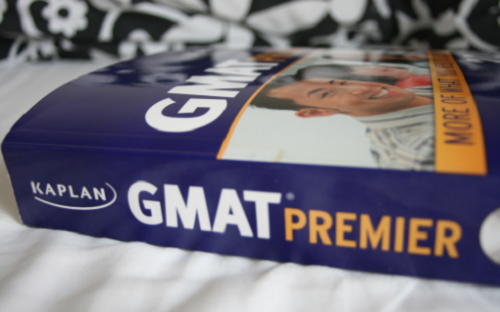 What is GMAT/GRE? How should I start preparing on that for an MBA? What are my chances of getting in US top colleges for an MBA with a GMAT score of 730? Which exam should I take to apply for MBA, GMAT or GRE? Does GMAT score counts more for MBA as GRE score counts for MS? How many US universities waive off the GMAT/GRE requirement for admissions in Masters program? What exam is better for applying for MBA abroad, GRE or GMAT? 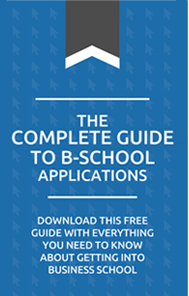 It’s free to sign up and for a limited period you can download our Complete Guide to Business School Applications. The GMAT is a dreaded obstacle on the road to business school for many an MBA applicant. When applying for an MBA program, it makes sense to aim for a GMAT score close to the class average. Bad news: class average GMAT scores are increasing across the board! Out of the Financial Times’ global top-20 ranked MBA programs, Stanford boasts a 737 record-highest class average GMAT score – based on its incoming MBA class in the fall of 2016 – up from 733 the previous year. The US business school elite – Wharton with a 730 class average GMAT score, Harvard with 729 (up from 725 in 2015), and Kellogg with 728 (up from 717 in 2014) – pose a tough test for aspiring MBA applicants.